I almost didn’t clock that this was the ‘potential Emmy roundtable’ session that happens every year, because of how much fun this group is. In the past, these roundtables always seem to be about ‘serious’ performers - but almost everyone in this group feels like a legit funny person who just happens to be on a show that airs every week. 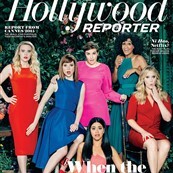 Amy Schumer, Lena Dunham, Tracee Ellis Ross, Ellie Kemper, Kate McKinnon, and Gina Rodriguez sit down with The Hollywood Reporter to talk about what it’s like to be a comedic actress, and I don’t know why, exactly, it feels so refreshing compared to other years. I mean, they look like they’re wearing prom colours from 1992, they aren’t all blonde and 98 lbs, and generally, they’re telling something much closer to the real truth than what we usually see from actresses. What's the biggest fight you've had about money? But mostly, this roundtable is particularly interesting because it wasn’t warm and fuzzy. The fascinating thing about this interview is that it’s printed and also in video form, and you can see glances across the table as people wonder if so and so is going to stop talking. And they definitely don’t all agree. In the past, these roundtables are about “Oh yeah I’ve had that experience too”, and they all kind of smile and listen to each others’ opinions. This is not that. Not that people aren’t listening to each other, but there are barbed situations. At one point the interviewers ask Gina Rodriguez about whether ‘the Latino audience’ is more conservative, and she kind of barely restrains her eyeroll as she says ‘the Latino audience’ comprises over 50 countries and many different cultures. Ross eggs her on going ‘Have you met every single one of them?’ Like, what a stupid question! But it’s clearly Ross who is in that experience with her. See? On the one hand, let the woman finish her story! It feels like being in a room of all my funniest friends and you but you also want to tell your funny story if you could get a word in. On the other hand, I am so delighted that we are in a place where ‘I would love to eat you out’ makes it to print. This is, as it is every year, a delight, plus this year it’s a little prickly. 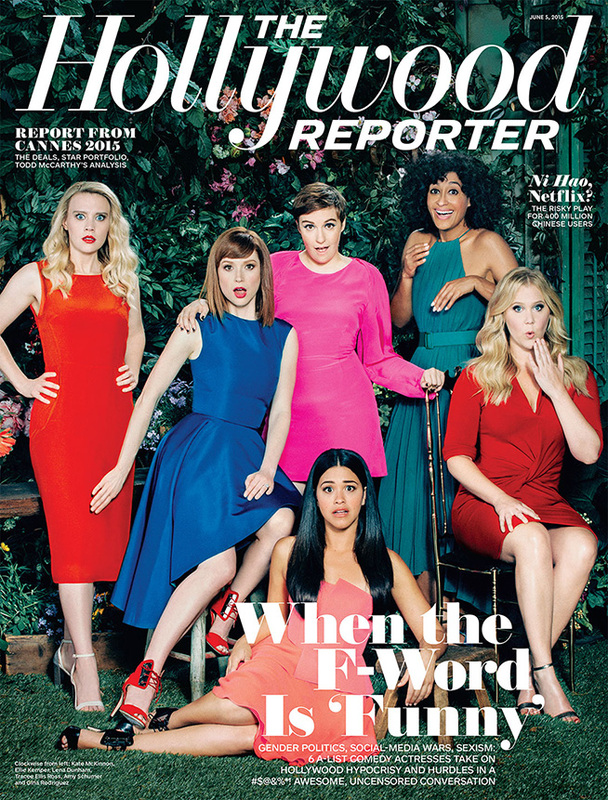 Though, if you’re an Ellie Kemper fan, I gotta be honest – she’s a little outshined here. You don’t get a lot of huge Kemper insights. But the group is so new and it’s so refreshing. I would be so delighted if this was the new ruling class of comedy. Funny and totally unreserved and fresh. I wish we could bottle it. Click here to read the entire interview and to watch the videos.